Strongside Technologies is proud to offer training for Simio simulation software using the Simio Training Course. 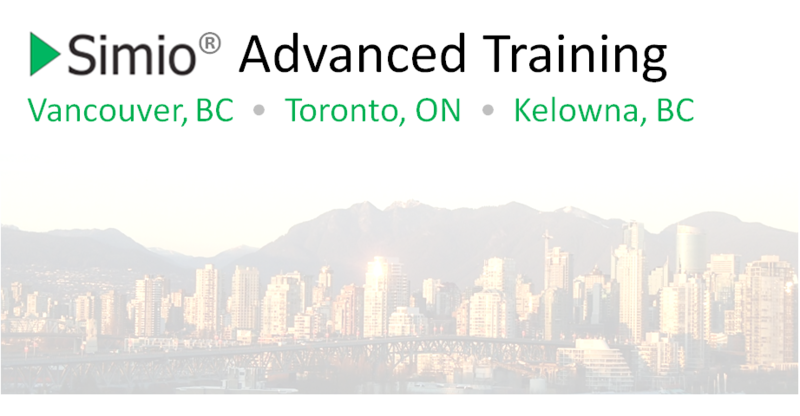 Bring your analytical team's skills to the next level and jump-start your success with customized private training and support programs or attend public training courses offered for either beginner or experienced simulation users. Please see our training schedule for upcoming public courses. Click on a selected course for an overview of topics to be covered and registration details. For more details or information about training, please contact Bailey Kluczny.